Newly crowned I League champions Mohun Bagan have strengthened their squad by signingAi? 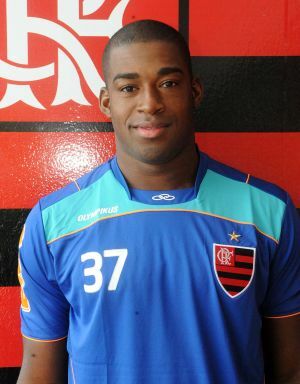 ?Brazilian defender Gustavo Silva Conceicao andAi? ?World Cup striker Georgie Wilson Welcome Collins. Barely a month after having won the I League championship, their first major silverware in five years, Kolkata giants have been one of the busiest sides in the transfer window and are trying to hard to build their squad for the next season where they will also be playing in Asia. Bello Rasaq’ s loss to East Bengal barely a week after I League triumph served as the wake up for the Marniers who since then have not only retained their key players but also signed new Indian and foreign players. Bagan began by retaining their coach Sanjoy Sen whose pragmatic and analytical approach played a key role in Bagan’s title triumph. The Mariners have changed a lot of coaches in last few year and Sanjoy Sen’s presence in the dugout will ensure continuity in the team. Japanese midfielder Katsumi Yusa was also retained by the Mariners after it was reported that the midfielder was being chased by a host of I League clubs. With his tireless running and industrious attitude, Yusa has become a fan favorite in his two year stint at Mohun Bagan and the midfielder notched up several assists this season besides scoring some crucial goals. web md safe online sites to buy viagra, web md safe online sites to buy viagra, web md safe online sites to buy viagra, web md safe online sites to buy viagra, web md safe online sites to buy viagra, web md safe online sites to buy viagra, web md safe online sites to buy viagra, web md safe online sites to buy viagra. Bello Rasaq played an important role in Bagan’s title triumph last year as he led an inexperienced back-four which saw a lot of changes with players around him getting injured.Ai? ?Despite being the last foreign player to have been signed by Mohun Bagan last season, it was Bello who sealed the I League title for Mohun Bagan when he headed home the equalizer against Bengaluru.Ai? ?It was widely expected that Mohun Bagan would retain Bello and thus the announcement of him signing for East Bengal came as a shock for the fans. The club however wasted no time in signing a suitable replacement – Brazilian defender Gustavo Silva Conceicao who brings with him a wealthy experience of having played in Brazil. 29 year oldAi? ?Gustavo began his career withAi? ?Tigres do Brasil in 2007 and stayed at the club for three years. His impressive performances didn’t go unnoticed and he has roped in by topAi? ?Brazilian SAi? ?rie A club Flamengo, the club he had supported since he was a child. At Flamengo participated with the club in inter-continental tournaments as well and that experience will no doubt help Bagan. The 6 feet tall defender has spent most of career in Brazil and has been signed from MLS side Orlando City who had signed him at the start of the year.Ai? ?Gustavo will have a chance to impress coach Sanjoy Sen in the pre season and theAi? ?Calcutta Football League Premier which begins form 6th July. The club also released their marquee player Pierre Boya after the end of the last season and have replaced him withAi? ?Honduran striker Georgie Wilson Welcome Collins who represented his country in the 2010 FIFA World Cup. The striker who is also capable of playing as a attacking midfielder came on as a replacement in Honduras’ all three group games in the 2010 FIFA World Cup. Measuring over 6 feet, Welcome scored on his debut for the national and since then has scored 10 times in 32 appearances for theAi? ?Honduras national team. As a member of the U-23 team,Ai? ?Georgie Welcome participated in the 2008 Olympics and its was his goal in the 108th minute against USA minute that madeAi? ?Honduras theAi? ?CONCACAF Pre-Olympic champions. At the club levelAi? 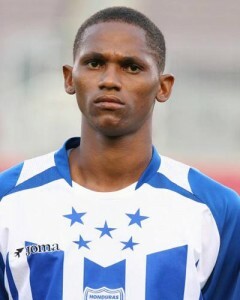 ?Welcome started his career with local islander club Arsenal and was snapped up by Honduran giants Motagua in 2008. In his five year stint atAi??Motagua,Ai? ?Welcome scored an impressive 68 goals from 111 games and also had unsuccessful trialsAi? ?with Scottish giants Rangers and French side AS Monaco. Welcome also brings with an experience of playing in Asia as he played 31 matches for top tier Thailand sideAi? ?BEC Tero Sasana F.C. in the 2014-15 season where he scored 10 goals. It would be interesting to see how Sanjoy Sen utilizes Welcome who is equally adept as playing as a striker and an attacking midfielder. Welcome’ s experience of having played in the World Cup would definitely come in handy for Mohun Bagan specially when they will face tougher opponents at the continental level. Welcome is known to be good both in air and on the ground and his presence in the final third will add a new dimension to Bagan’s attack. In addition to signingAi? ?Gustavo andAi? ?Welcome, Mohun Bagan have also added Indian international Lenny Rodrigues to their squad. The central midfielder didn’t have the best of seasons with Dempo and would be looking to make a mark in the heart of the Bagan midfield in order to regain his place in the national team. A hard working midfielder,Ai? ?Lenny’ s presence will reduce the burden on Sehnaj Singh and Bikramjit Singh and will also give coach Sanjoy Sen more options. The Mariners have also strengthened their attack by roping in speedy Subhash Singh who represented Bharat FC in the 2014/15 season. Subhash in fact scored the winner for Bharat FC in their win over Bagan this season. The signings of Lenny and Subhash adds depth to the Bagan side which will prove to be important as the team will have to play a Federation Cup, I League and AFC Champions League/AFC Cup in a matter of just five month. Bengaluru FC’ s success this season despite having a packed schedule was due to the depth in their squad which allowed Ashley Westwood to rotate the squad and give rest to key players at regular intervals and with Bagan likely to have a similar packed schedule, Sanjoy Sen’ step of adding depth to the squad in indeed a step in the right direction.